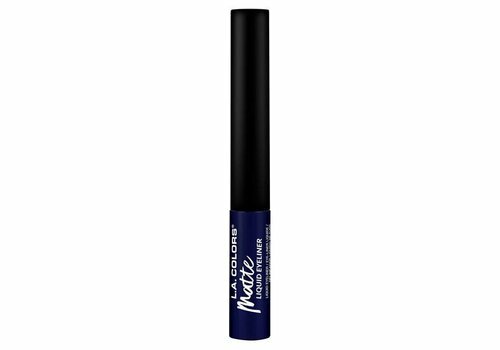 Buy LA Colors Eyeliner online at Boozyshop. The make up webshop that makes online cosmetics shopping fun! LA Colors is, as the name suggests, an expert in colors. You will therefore find the most diverse colors for all make-up looks between the LA Colors make-up products. But not only in colors is LA Colors a pro, they also play on the hottest trends! So the LA Colors eyeliners are also well-known! Are you creative and is basic too boring for you? Then have a look at LA Colors eyeliners assortment at Boozyshop. Are you going for a subtle or dramatic look with the LA Colors Eyeliner? Applying an eyeliner requires some practice but it's worth the effort! And once you know the flowing movement or have found your unique twist, you will create beautiful eye looks in no time. With the LA Colors eyeliners you can go for a subtle, thin eyeliner or an intense, dramatic eyeliner. It's all yours! With the eyeliners from LA Colors you can go all directions and thus create many different looks. From classy black and soft brown to radiant pink and rose gold, the LA Colors eyeliners are available in many beautiful colors. You can match the eyeliner with your eye color, skin tone or even clothing. But you can also choose a specific color for the effect that he has. Having doubts about which color to pick? Ask our makeup artists for help via our chat, so you can find out which eyeliner suits you best.